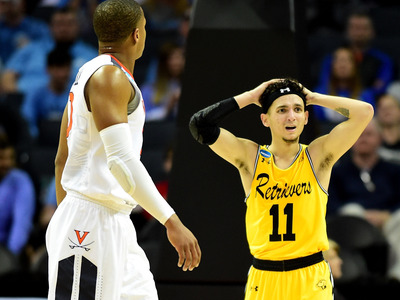 One gambler cashed in big time by wagering $US800 on UMBC to win outright. The $US800 bet at the Venetian in Las Vegas won the gambler nearly $US17,000 at 20-1 odds. One wager that wasn’t busted was reportedly a gambler at the Venetian in Las Vegas who wagered $US800 on UMBC to win outright. That’s right, one person bet $US800 on a 16-seed to not just cover the spread, but to win, at 20-1 odds.